IRTA’s 26th Annual Conference is slated this year for September 22 to 25. It will be held at the Wyndham Palace Resort & Spa in Disney World of Orlando, Florida. Registration information is posted on the IRTA web site. Last year marked 25 years for the International Reciprocal Trade Association. This year marks the first of the next 25. Precisely why this year’s convention is the FIRST of its kind. IRTA is inclusive of everyone and anyone who is affecting the world with their dreams and visions of changing the way businesses, communities, and individuals think about money and credit, and different currencies. “The Association wants to create a forum that will excite the barter community and welcome other organizations to attend and share their visions and methods for affecting economies worldwide using cash alternative methods,” disclosed Krista Vardabash, IRTA Executive Director. For full details go to www.itra.com or call Krista Vardabash at (585) 424-2940. MDC Partners, led by 47-year-old Miles Nadal, has built an interesting holding company that consists of a loosely knit network of more than thirty firms—from ad agencies and media buyers to shops specializing in everything from interactive marketing to branded entertainment. Included in his stable of companies are Miami’s Crispin Porter & Bogusky the creator of Burger King’s notorious “subservient Chicken,” San Francisco-based agency Kirshenbaum Bond (known for its work for Hennessy, Meow Mix, and Target), and the boutique consulting Zyman Group run by legendary Coca-Cola marketing guru Sergio Zyman. Nadal’s operational efforts are relationship-oriented, what he calls a perpetual partnership. He typically barters (his MDC stock) for a percentage of a company. Revenues last year totaled $317 million. The new “perpetual partners” are given autonomy and are not forced to cross-sell services. But they can draw on the network’s resources if they choose. In essence, Nadal’s business model provides an alternative that lets companies retain what’s made them successful but deals with fundamental business issues—succession, liquidity, and capital to grow. Nadal sees himself as a single-minded venture capitalist focused on the advertising industry and marketing innovation. He claims that his company’s technology is intellectual property—cerebral, not tangible. And he’ll use barter whenever possible to expand the growing company and meet his lofty ambitions. A top-level Thai government delegation has held talks with a major Chinese bus manufacturer, Jing Long, regarding a barter transaction which will see Thai fruits traded for Chinese-made locomotives, passenger buses, and armored cars. The meetings between top government officials was aimed at strengthening relations between the two countries and to focus on the future where bilateral trade is expected to reach $49 billion annually by 2010. 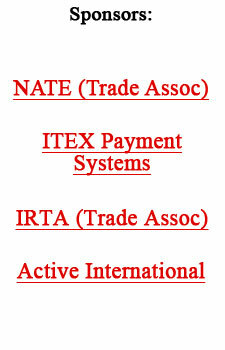 ITEX Organization Steps Up. . .
Raising $300,000 Trade Dollars For New Orleans Relief Fund! Following the natural disaster in Louisiana and Mississippi, various concerned ITEX brokers throughout the company’s national network quickly moved into action. Contacting their members, they have raised a total of $300,000 as of last Friday, in a thoughtful and dramatic response to the Katrina Hurricane relief effort. The largest single donation was $50,000, from an ITEX member located in Seattle. • Feed The Children (www.feedthechildren.org) located in Oklahoma City, OK.
• Air, Land, Emergency Resource Team (www.alertacademy.com) in Big Sandy, TX. The agencies are sending truckloads of supplies, including food, bottled water, cleaning supplies, paper products and other emergency essentials, to both the states directly impacted by the hurricane and those housing evacuees. We will keep our readers abreast of other contributions as they are reported...e-mail details to: bmeyer@barternews.com. For over a decade now, week in and week out, a guy who refers to himself as George Costanza (he’s a ringer for the Seinfeld actor) has been successfully selling the trade exchange concept to the business community in the greater San Diego area. Kaliel has annually been the top salesman in the BXI national organization (recently acquired by ITEX). In an industry where the turnover of outside salespeople is routine, Kaliel is the exception to the rule. Why? Certainly he has a “can do” attitude, but in addition he has astutely developed several unique sales techniques that set him apart from the crowd. One of them is his semi-weekly e-mail newsletter, titled the Green Standard, sent out to his growing list of clients and prospects. It’s not only a fun read, but informative as well. Published tongue in cheek by “George Costanza Productions...any reproduction without written permission is OK by George!” To see what this unusually successful salesman uses as one of the “arrows in his quiver,” e-mail him: arthurkaliel@hotmail.com. The Venezuelan government will accept sugar from Barbados and bananas from St. Lucian in exchange for oil, which could represent a possible saving of the Barbados sugar industry. The PetroCaribe agreement had been designed to come to the rescue of countries facing the shock of losing their preferential markets as well as higher international tariffs for their sugar and bananas. David Wallach is back in San Francisco after a week of extensive exam’s at Houston’s famed M.D. Anderson Cancer Clinic. Wallach met with noted cancer expert, Dr. Daniel Karp of Rice University. He will now undergo suggested chemotherapy (SP) treatments at the University of California San Francisco, about 30 minutes from his home. Wallach’s phone: (415) 672-5497. Is it that time of the year already? TradeAmericanCard, one of the country’s oldest trade exchanges (located in Orange, California), has announced its 2005 Holiday Trade Fair. It will be held Sunday, December 4, at The Grove of Anaheim (next to the Angel’s Baseball Stadium). Booth space available, call: (714) 532-1610.